Ok, so your Amiga 500 powers on but goes to a full yellow screen just seconds after boot? I’d suggest you test the power supply with a voltage meter, re-seat the socketed chips on the motherboard, and, of course, replace all the capacitors. I began collecting vintage computers in 1999 — 20 years ago. The modern computer I had at that time is now considered to be vintage and collectible. I now have a sizable room full of computer systems, setup and bootable at the flip of a switch. Some of them are nearly 40 years old. In all of that time, I have never — not once, ever — replaced a single capacitor. I have never encountered a blown or even bulged capacitor on any of these fully functional systems. And I use these computers quite frequently. A capacitor is a passive two-terminal electronic component that stores electrical energy in an electric field. The effect of a capacitor is known as capacitance. An unfortunate thing about capacitors is that every type of capacitor will, at some point, fail. 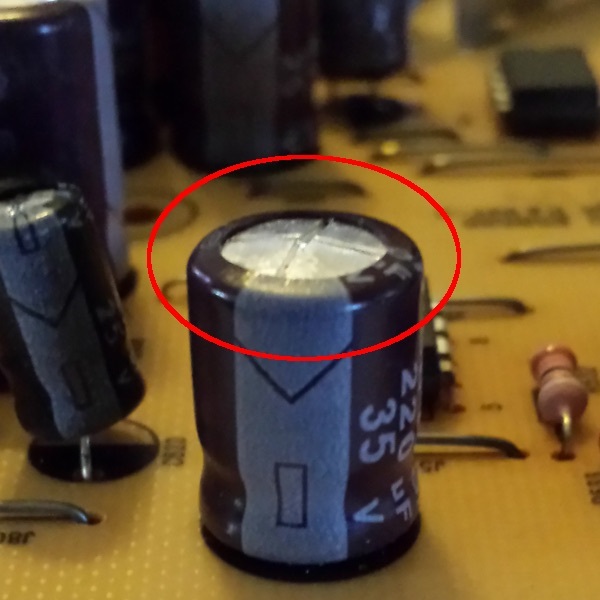 The type and quality of a given capacitor plays heavily into its life span — and some vintage systems used rather poorly constructed capacitors. I have seen many examples online of a system malfunctioning and, in diagnosing, a blown capacitor was found and replaced and the system was healed. I can’t say for sure that I have ever seen an example of a capacitor failure utterly destroying a system. I would like to continue on as I have always done, using these systems as-is with the plan of replacing capacitors on a given system in the future, as they inevitably fail. But, I would like opinions as to just how risky this is. I am hoping, with this post, to get feedback in the comments from other vintage computer users users of vintage computers (I almost walked into that one…) regarding the issue of capacitor failure. What experiences have you had? What advice can you offer, here? Those of you who have suffered capacitor failures in such systems, were any of them catastrophic, unrepairable? Please leave a comment, I appreciate any feedback. A computer geek all my life, in my youth I was a member of several different local computer users’ groups in the Hampton Roads area of Virginia. In 1983 I joined my first, becoming a member of the Peninsula ’99ers, a group centered around the TI-99/4A (my first computer). After moving to an Apple //c, I joined an Apple II group that may have been called the Peninsula Apple Corps. (memory fails me there). A few platforms later, I became an Atari ST user and joined P.A.C.E., the Peninsula Atari Computer Enthusiasts. P.A.C.E. was a group originally focused on the Atari 8-bit home computer, but expanded to include the ST when it was launched. The group had a supporting newsletter as well as a BBS. We met once a month, had the occasional picnic and pool party, held raffles, ran shows, and were involved in various other local events. Most of our meetings were held in the computer lab at the Gloria Dei Lutheran school (which I discussed in an earlier post). I joined P.A.C.E. in late 1986 and was a member until I moved to my next platform, a year and a half later. I recently got in contact with another member of the group and he unexpectedly provided me with quite a stroll down memory lane. I first encountered Shannon Hendrix online on various local bulletin board systems, and then in person when I joined the group. He was, at one point, VP of the club and was heavily involved in local computer-related events. We were recently chatting about the good ole’ days of P.A.C.E. and the Atari when he told me that he had scanned and preserved a number our group newsletters, P.A.C.E. WORLD. The newsletter was a monthly publication created primarily in The Newsroom on Atari 8-bit computers and put together with both virtual and a bit of real-life cut-and-paste. Shannon was willing to share them with me and I have to say, reading through them was like being in a time machine dialed back to 1986. I remember all of the names, most of the faces, and see that I was even mentioned in one of the issues (June 1987, page 8 [PDF])! 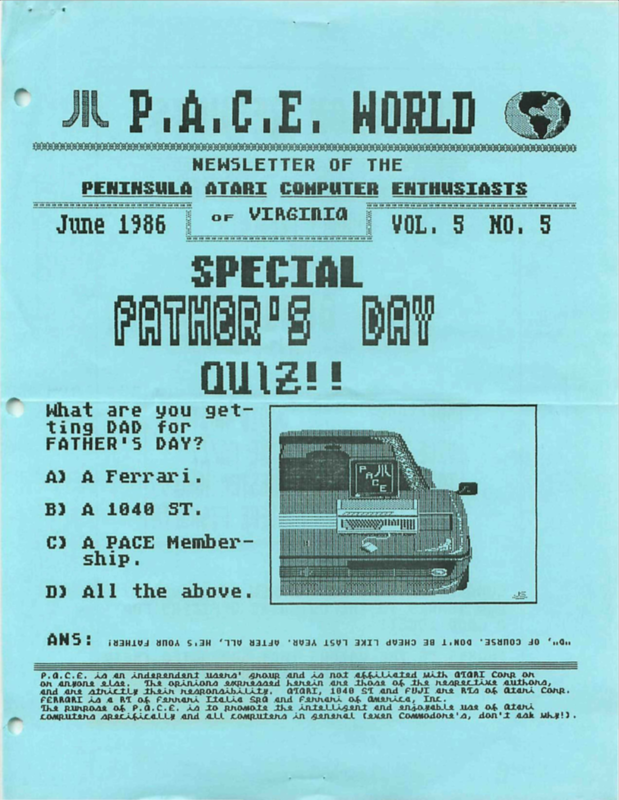 While I can’t imagine anyone else from the group will encounter this post, I wanted to share these newsletters to give readers a glimpse of a little corner of Virginia way back the “home computing” days. For completeness I will mention that, several more platforms later, I moved to the last users’ group that I ever joined, A.L.F.A., the Amigaoid Life Form Association, a local Commodore Amiga group. (Yes, I was on both sides of the Amiga vs. ST war — and switched sides a few times!) Time spent in connection with all of these groups are some of my best memories, growing up. I share other details about my users’ group memories in my earlier blog post, “Computer Users Groups of My Past” (2014). All my life I have dreamed of exactly this in gaming — an interesting, alternate universe, massive in scale, in which I can freely wander and explore at my own pace. That is what No Man’s Sky is to me, and it’s my observation that many others are similarly moved by the game. 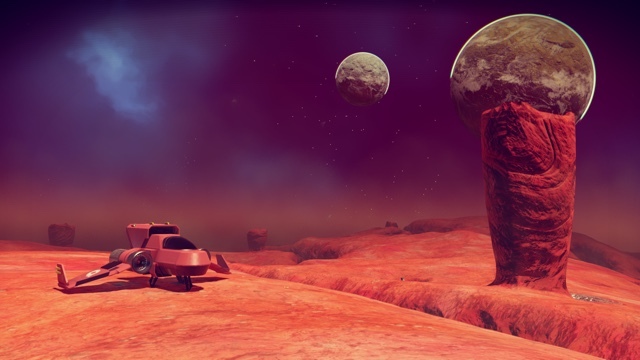 The fact that the universe is procedurally generated and that even the game’s creators can’t describe everything that’s out there to be encountered ads to the incredible sense of the unexplored, the alien. There is a lovely feeling of solitude to the whole experience of discovering a world, leaving your mark on it, and moving on to the next. I began playing the game on the PS4 back on its launch day in August 2016. 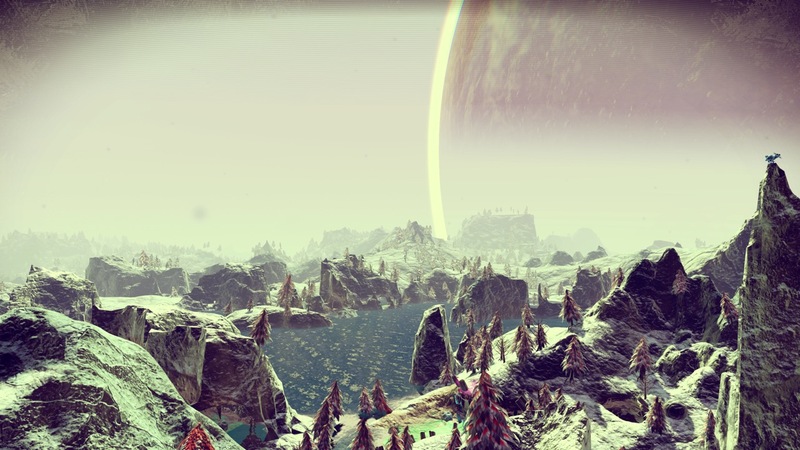 I was so completely drawn into it that just a few weeks later I decided to build a high-end gaming PC — something I hadn’t done in many years — in order to get the best experience possible in the No Man’s Sky universe. The system I built was able to achieve a higher resolution at a higher frametrate than the PS4, as well as allowing mods to be run (which, in the end, I decided to stay away from in the interest of experiencing the gameplay as intended by the developers). It wasn’t until a week ago, however, that it enabled me not only to travel across the vast and myriad galaxies within the universe at the heart of the game, but to travel back through time within that universe, as well. 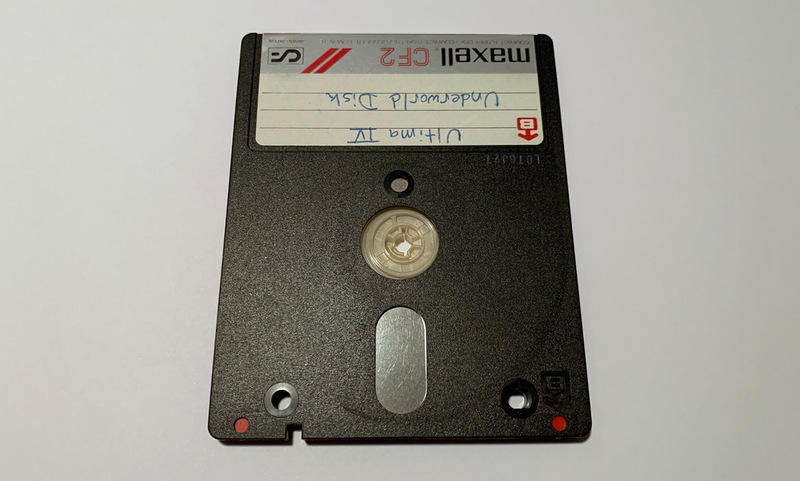 I was recently listening to the latest episode of Retro Computing Roundtable podcast during which there was mention of a 3-inch floppy disk. No, not 3.5-inch, but 3-inch. 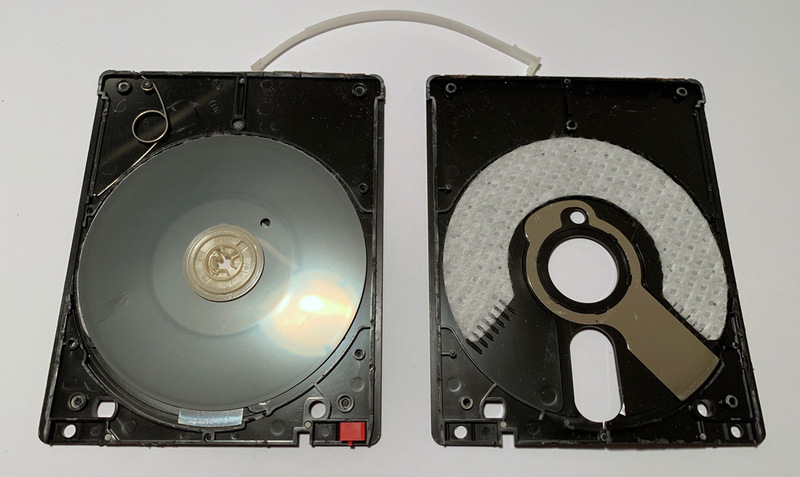 These disks are known as Compact Floppy Disks (also “CF2”) and were used in a number of systems outside the US, including some models of Amstrad, Tatung, and MSX machines. And, while the Sony-engineered 3.5-inch disks that those of us who don’t think that they are 3D-printed takes on the “save icon” know well are more or less square, these disks are rectangular. This was a curiosity discussed in the podcast at length. The Compact Floppy Disk form factor was engineered by Matsushita and Maxell and, in the states, it was offered for a variety of machines by Amdek as an standalone unit. 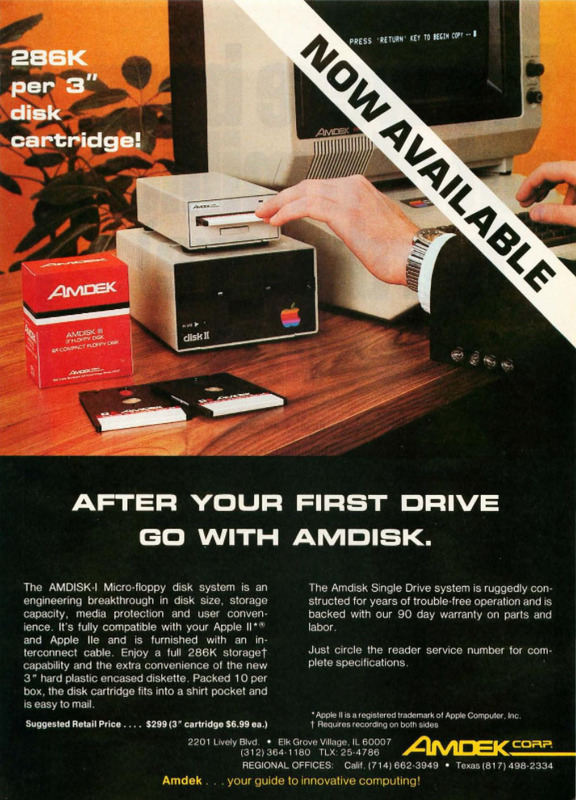 The Amdek Amdisk-III was a dual-drive unit released in 1982 at an introductory price of $899, offered for the TRS-80 CoCo and the Model III as well as the Atari 8-bit line. Amdek also sold a single-drive Amdisk-I unit exclusively for the Apple II, billed as a perfect second-drive option. I saw an ad for the latter when I was using an Apple IIe as my main system and it appealed for it’s cool-factor, but was too expensive. Eventually I saw a close-out deal for the Amdisk-I at a price of about $75 and I went in on it. When it arrived it came with four blank 3-inch floppies and I plugged it into my Disk II controller card and installed the third and fourth floppy-sides of Ultima IV on it and played away. It was reliable and, as expected, pretty cool. I sold the system it was attached to and moved to an Atari ST, but I kept one of the disks. After hearing the discussion on the RCR podcast about the oddness of its rectangular form-factor, I decided to dissect the disk I have on hand to see and share just what’s inside. Would there be a magical storage space for trinkets? Something special waiting for the adventurous user who decided to crack a disk open? As it turns out — no. There’s just a spring and an overall situation that presented no particular reason for it being non-square. Having cracked open the disk, I present the photos here for posterity. I’ve been without a drive to read this disk for over 20 years, and so the destruction of the media is of little pain for me. The magnetic media of yesteryear (some even less common than these) is an interesting thing to examine, I think. It is not every day that BBSing moves a man to poetry…. 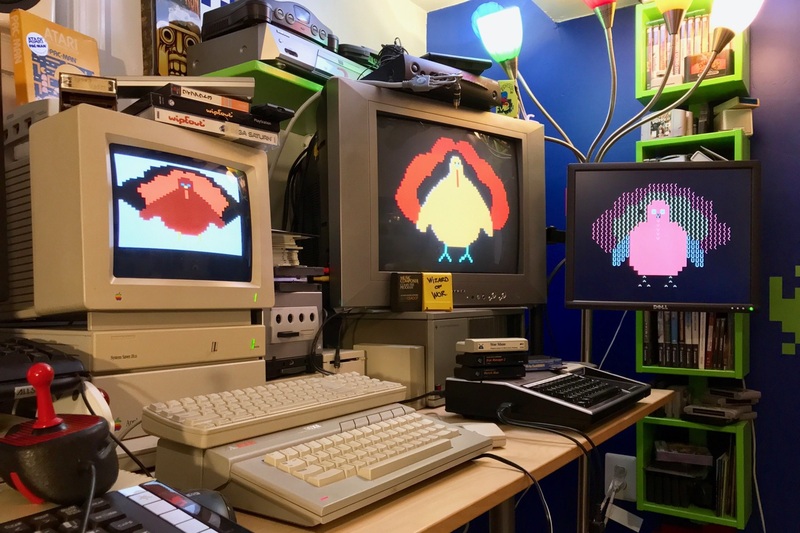 But, there are occasions where it does, as reddit user u/droid_mike proved this past weekend as r/Retrobattlestations‘ BBS Week IV competition drew to a close. The competition rules required participants to make a post to the subreddit’s official BBS, Level 29, and show proof of the post by photographing the screen or a printout of the session. 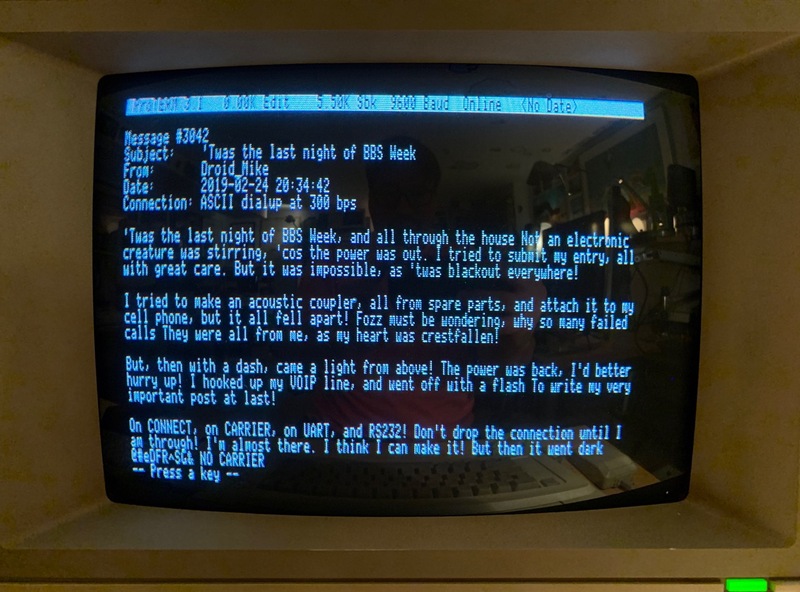 Mike’s post is a poem that harkens back to the recent holidays and tells the tale of hardship that is his (successful) attempt at getting his TRS-80 Model 100 dialed (over the telephone lines) into the BBS, and at 300 baud! While I have provided a photo I took as soon as I encountered Mike’s moving post on Level 29 while logged in on my Apple IIe, I refer you to Mike’s competition entry subreddit post to read the complete text of his soul’s outpouring, a more detailed albeit less poetic account of his attempt, and to see his Model 100 online in all its glory. I, myself, submitted an entry to the BBS Week IV competition in the form of a photo of my dual-screen, enhanced Apple IIe telnetted into the BBS at 9600 baud (thanks to my WiFi232 unit) and displaying the post I made there detailing the Apple IIe’s overall configuration. However, as the judge will be picking a winner in each of the following three categories: #1 Most cramped screen, #2 Most mechanical, #3 Most artsy fartsy message — I think Mike has a far better chance than I at walking away with a few of the coveted r/Retrobattlestations retro sicker prizes! As a long-time Apple II users I am quite familiar with the technique of generating color video by way of NTSC “artifact color” (also sometimes referred to as “composite color”). The 8-bit Apple II series is incapable of outputting any actual color pixels, so it takes advantage of idiosyncrasies of the NTSC composite video signal by displaying patterns of black and white pixels which are smeared together on-screen in a predictable fashion, resulting in colors that are not actually in the signal. Apple II screenshots. Click for a closer look. I’ve spent thousands of hours staring at the artifact colors of an Apple II display, but lately I’ve been exploring something that’s rather new to me: the world of IBM CGA (for Color Graphics Adapter) artifact colors. I recently got turned on to the notion of putting together a little Tandy 1000HX system, so I looked around and over the Christmas holiday I found one for a very reasonable price on Craigslist, brought it home, and made a space for it in the Byte Cellar. It’s a lovely little machine with a lot of personality and it’s been fun putting through its paces. (I am about to install a variety of expansions to greatly increase its capabilities, and that will be the subject of a blog post to come.) Being a Tandy 1000, it features the enhanced graphics and sound capabilities that IBM introduced with the PCjr, and that puts it well beyond standard CGA as far as on-screen visuals for programs that support its enhanced video modes. Back in the DOS days I was never much of a PC guy. I briefly drove a Tandy 1000TL in the late ’80s and, later, had the BridgeBoard PC-on-a-card in my Amiga 2000, so I was able to find a few old DOS floppies tucked away on the shelves. I’ve been firing these up on the HX and very few of what I have here support the PCjr/Tandy video modes and, so, I am reminded just how much I dislike standard CGA graphics. The typical palettes of cyan, magenta, white, black and red, green, yellow, black I have always found to be far less appealing than the Apple II’s 6-color hi-res palette. Well, one of the games I had on floppy was Archon from Electronic Arts. I loaded it up and there was much cyan and magenta to be had on the RGB display, and things looked pretty busy with lots of pixel patterns making up dithered colors. Looking at the patterns, I recalled reading somewhere that it was a CGA game which utilized artifact color and that was written to be presentable both on an RGB monitor as well as via composite output. It occurred to me that the Tandy has a composite output, and the system was sitting next to my gaming TV which accepts composite, so I wired them up. I powered on the TV and, voila! 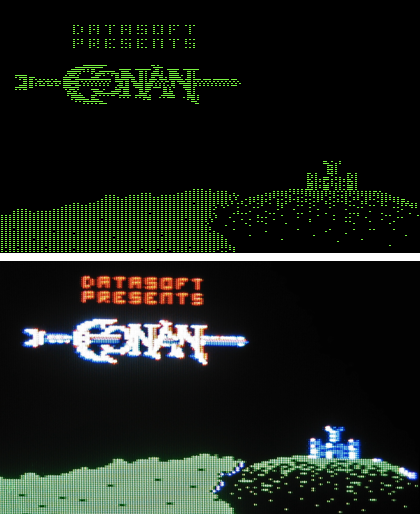 I got my first taste of CGA artifact colors — and just how much better they looked than plain old RGB CGA! The sixth annual Holiday Music Week is happening over at r/Retrobattlestations and this year, for my entry, I set the TI-99/4A to singing a song of the season, with some help from John McGinley who wrote the Christmas demo that can be seen, here, running on the TI. He wrote the demo in TI Extended BASIC (via XB256) earlier this month. McGinley’s Christmas demo was part of my holiday demos roundup posted earlier this month. ‘Tis the season, and that means it’s time to push out the eighth annual Byte Cellar vintage computer Holiday demo roundup so everyone can feel that warm, fuzzy, pixellated holiday glow. With scanlines. Enjoy! Enjoying these demos is a personal tradition that I had, sadly, long left behind until 2010 (the year before I began writing these posts) when I was inspired to seek out the demo I remember best, Audio Light’s 1985 musical slideshow for the Atari ST. With the help of an emulator, I captured it to share online with readers. A year later, I fired it up again and watched it run through it’s 16-color, pixellated images and 3-voice musical holiday greetings. As I watched, it occurred to me that it might be nice to gather a few of the other demos I remember from the good ole’ days and present them here, in order to try to share some of the holiday cheer that they used to inspire within me. The following list of demos ranges across a variety of platforms of olde and is sure to bring the warmth of the season to the hearts of any and all retrocomputing enthusiasts who behold it. Happy holidays, and I hope you enjoy the shows! Be sure to also have a look at the dozens of demos gathered through the years in the 2017 edition and the 2011 – 2016 edition of this post. When it comes to the holidays, I get rather sentimental as well as nostalgic, these days. Holidays as a kid are some of the best memories any of us have, really. 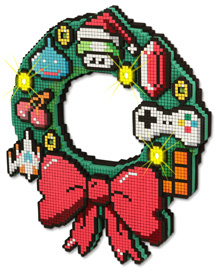 And having been an avid computer geek during the home computer era, my holiday memories are always laced with fun times on the computer as a kid. As such, I’ve been running my Holiday Demos post series around Christmas time for quite a few years and it seems I might’ve just started a new Byte Cellar tradition with my recent Halloween Demos post. 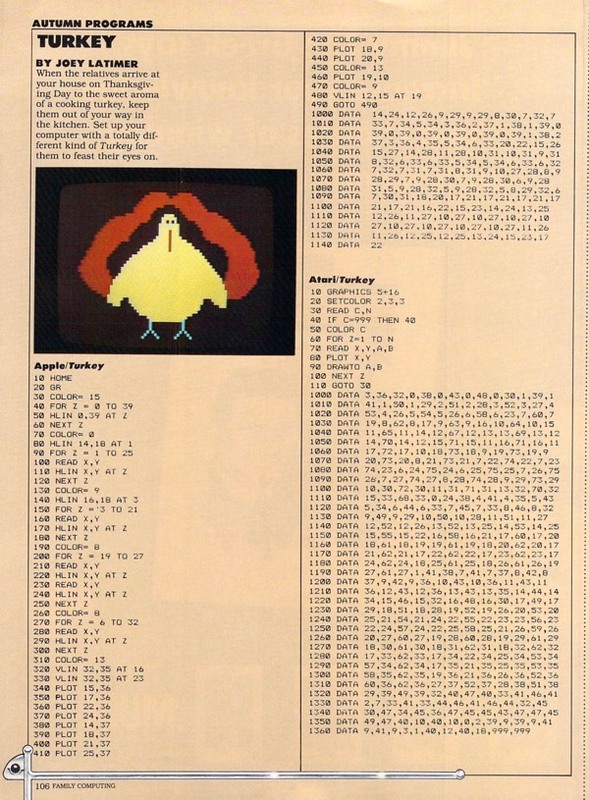 Well, when I saw a reddit post from u/RogelioP demonstrating a BASIC Thanksgiving demo he typed in from the November 1983 issue of Family Computing magazine, Turkey by Joey Latimer, I had to get on board. Thanks for the inspiration, RogelioP, and all I can say from here to readers is Happy Thanksgiving! Update: RogelioP stopped by in the comments and has gotten the Turkey demo running on his TRS-80 Model I, as well. Nice going! I was at my Amiga 2000 the other night loading this and that scenedemo (demoscene productions) at random, many of which I’d not watched in years, when I ran across a little 40K intro featuring some nifty Halloween-themed elements. With Halloween just a few nights away, that seemed a rather appropriate use of pixellated vectors and it occurred to me to put together a collection of some of the Halloween-themed scenedemos out there for vintage systems, much as I’ve been doing for the past six years for Holiday / Christmas demos. I’ve written a number of posts on this blog about computing memories around the ghoulish time of the year. For instance, there was the year that an Atari ST saved Halloween for me. I will certainly never forget the year that I plunged blade into pumpkin and created the sinister and ghastly iPod-o-Lantern. And I’ve taken part in several r/Retrobattlestations competitions designed to scare the bytes out of unsuspecting vintage computing aficionados, using an Amiga 1000 on two different occasions as well as an Apple //e. Indeed, All Hallows’ Eve and vintage computing seem to go rather nicely together. So, without further ado, I hope you enjoy the demos I’ve chosen to scare share with you this season.